I first noticed ombré blushers some time last year when MAC released a couple as part of one of their many limited edition collections, but unfortunately at the time I just didn't have the money for another MAC blush and to be honest, I hated the packaging. I know that MAC have now released more as part or more limited edition collections, and so have Estee Lauder, but it's the same story really, I just don't have the money for another high end blusher at the moment. So when I saw that Essence had released two, I couldn't wait to get my hands on them. These are by no means a new release, they've been out for a couple of months at least but Essence is a fairly new brand to me. Being the makeup snob that I am, I sort of brushed Essence off thinking that their super cheap prices (almost everything is under £5) were an indicator of pretty shoddy quality...but as usual, I was wrong and after trying a couple of bits, I'm now Essence obsessed. On a recent trip up to London I stumbled across the Essence shop in Westfield London (it's not really a shop, more of a stand in the middle of the shopping centre) and had to pick up a few bits. I did originally want the peachier version of this blush which looks a bit like the Ripe Peach ombré blush by Estee Lauder but they were sold out, so I opted for this pink version, called Pinky Flow. The blusher is made up of a darker side, which isn't all that dark, more of a mid toned pink - think Pink Swoon from MAC - and a lighter side which is a lovely pale pink colour. 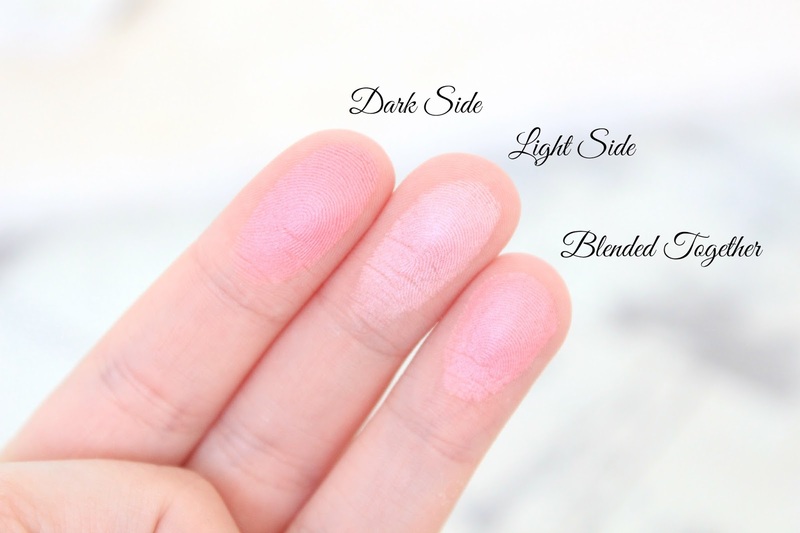 Either colour can be worn alone or they can be blended together to get a really pretty pink colour which I think would look gorgeous on any pale skin tones. 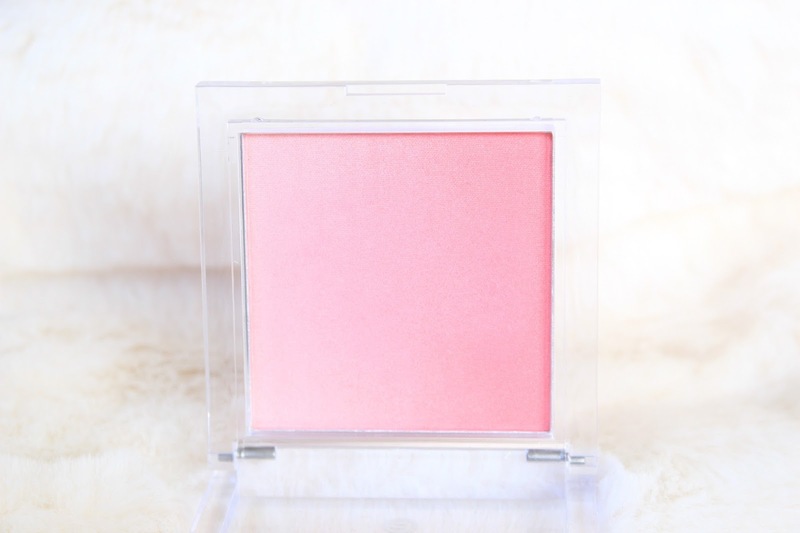 I'm a big fan of pink blushers, so it's no surprise that this one was a hit with me, but I was so surprised at the quality of the blusher for the price. This only cost me £3.50, and although the packaging isn't much to look at (despite being fairly sturdy), the product inside is worth way more than this in my opinion. It's a smooth and buttery powder which blends out effortlessly, comparable to some of my higher end blushers, and it's also fairly pigmented. I'd say you need a light touch though as the pigmentation can be a little too much at times but it's nothing a little tap of your brush on the side of the packaging won't fix. Overall, I really like this blusher and it's definitely one I've been reaching for lately. I do think that the ombré effect is a bit of a gimmick, the colour could have been achieved with just one solid colour, but it does look pretty in my draws I guess. 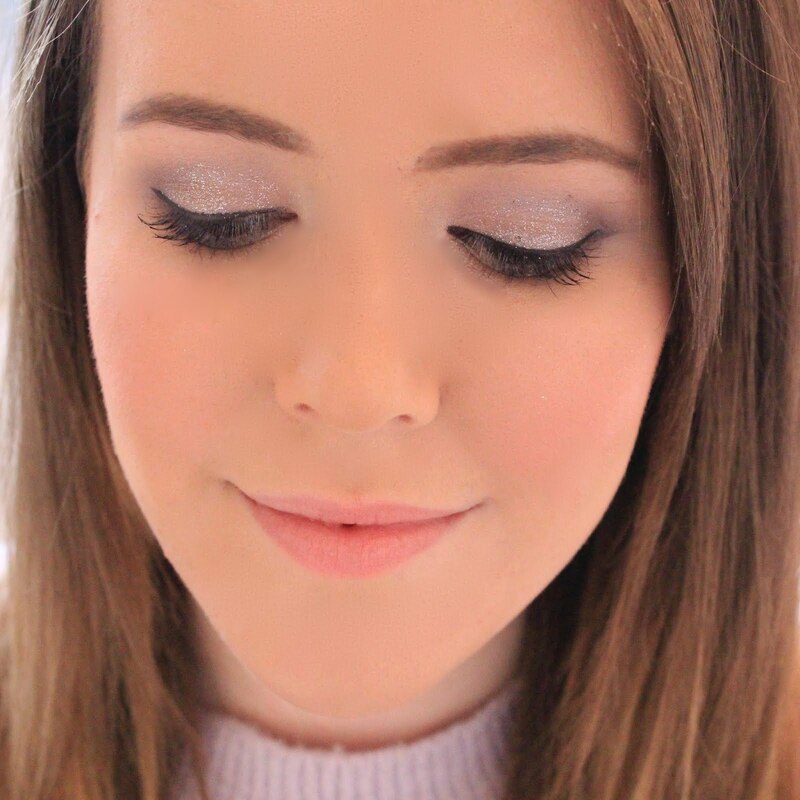 I continue to be impressed with Essence products every time I try one, the quality to price ratio is amazing and it's fast becoming one of my favourite drugstore brands. It looks so pretty, I really do need to try more Essence products! This looks stunning! Essence is a brand that I've heard so much about but never tried anything from, mainly because I have no idea where to find them near where I live! I will definitely have to go on a hunt though! This looks absolutely gorgeous! I really love the idea of ombre blushes. Essence is actually a really great brand. The prices are so low and the quality fab! Essence obsessed should be a real disease. Their stuff is actual quality. Have you tried their everlasting lipsticks? So amazing! This blush looks beautiful and I love that it's such a soft pink. This is such a beautiful blush and I can't get over the shade! Must keep an eye out for these blushes, they are gorgeous!